Delicious Honey Bunny Products & CONTEST (~OVER~)! The Tasty Line Up at Honey Bunny! I have recently been impressed by a Canadian line of organic honey products called Honey Bunny! Based out of Guy, Alberta some of their products include delicious barbecue sauces, honey and even ketchup! 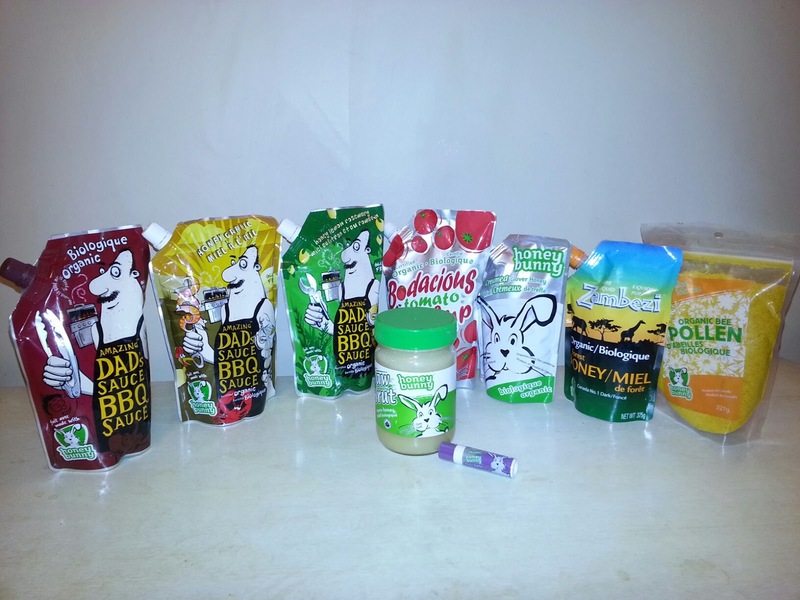 The products are very easy to spot, as many are packaged in foil-like, BPA-free pouches. The product line is also gluten-free! 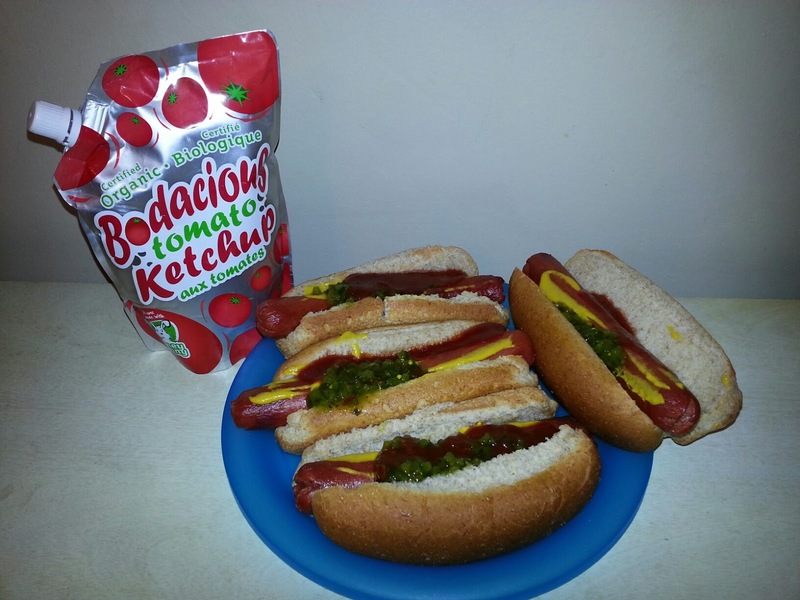 Trying Out the Bodacious Tomato Ketchup on Hotdogs! We were just about to sit down to lunch, so I decided to try the Bodacious Tomato Ketchup (organic). My family really loved it. I read the ingredients and noticed that the ketchup was sweetened by Honey Bunny organic honey--it definitely had a nice sweetness to it. I noticed it was also gluten-free and not vinegar-based. 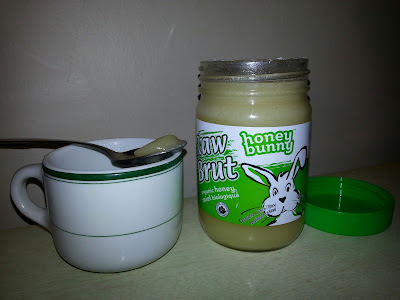 Next my husband and I tried the Honey Bunny Organic Raw Honey in our tea. It really was just the right sweetness and not overpowering. I loved how it was smooth and not grainy, and my husband liked how it was mild. This is the kind of honey that comes "straight from the bee hive"! 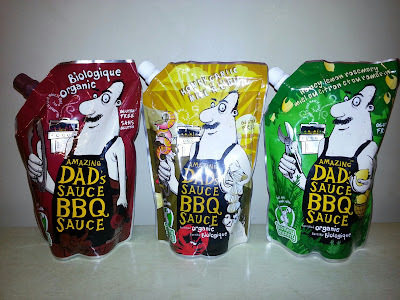 You Have to Try Amazing Dad's BBQ Sauces! Amazing Dad's Original BBQ Sauce! Now get ready to hear me rave! 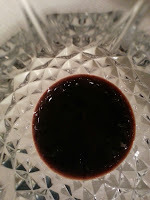 For dinner my husband and I tried the Amazing Dad's Original Barbecue Sauce. We barbecued a chicken for dinner, so we were eager to try the sauce. Just like it's name, it was AMAZING! It was a dark sauce, with a slight taste of smoke, molasses (although not in the ingredients list) and honey. The honey in the barbecue sauce is the same Honey Bunny organic honey, and the sauce is gluten-free. My husband and I just adored this sauce and I plan to share it with friends and family. We will definitely continue using this tasty product! For more information about Honey Bunny products, check out their website, fan them on Facebook, or follow them on Twitter! Where to buy Honey Bunny Products? WIN (1 of 2) Honey Bunny awesome prize packs consisting of 7 great products! (Prize pack contains: 1 Honey Bunny Creamed Honey, 1 Honey Bunny Liquid Honey, 1 Honey Bunny Raw Honey Jar, 1 Amazing Dad’s Original BBQ sauce, 1 Amazing Dad’s Honey Garlic BBQ sauce, 1 Amazing Dad’s Lemon Rosemary BBQ sauce and 1 Bodacious Ketchup!) Prize has a value of $55 CDN! Open to CANADA, runs Tues Dec 11th to Tues Jan 1st, 2013. As stated, there are TWO winners. Leave a COMMENT below stating which Honey Bunny product you would love to try (ie: honey, BBQ sauce, ketchup)! Then use the ENTRY FORM to enter. Good luck, I hope you WIN! I'd love to try the Honey Bunny Raw Honey. I would love to try out the Honey! I've been wanting to try new products that are healthier for me .... maybe this is my opportunity!!! I would like to try the BBQ sauce! I would like to try the ketchup. I would love to try Honey Bunny BBQ sauce! I would love to try all of the Amazing Dad's BBQ sauces! We grill a lot and are growing tired of the same old flavours. These would be a welcome change! Would like to try the BBQ sauces and ketchup!! Honey Bunny Liquid Honey! I'm a honey fan! The Buzz Balm lip balm sounds yummy too! I'd love to try the honey! I'd like to try the barbecue sauce. My name is Julie G.
I would like to try the Lemon Rosemary BBQ sauce. I'd like to try the Honey Bunny Creamed Clover Honey. The Lemon Rosemary BBQ Sauce sounds yummy, too! Wow!! all the products are sounding so good. Thanks for sharing this. I would love to try the BBQ sauces. I'd like to try all products! All about the BBQ sauce for me, always love trying new ones. All about the BBQ sauce. They all look good! I'd love to have a wee spoonful of their Organic Raw Honey for my tea when I have a sore throat! I would love to try the bodacious ketchup. Honey Bunny Creamed Clover Honey looks very interesting to try! The BBQ Sauce sounds good, I want to try it. I would love to try the ketchup,,we love ketchup in this house!! I like the idea of their Buzz Balm Lip Balm with honey, in this dry cold weather we are having. Their milled organic bee pollen sounds really interesting too - I've tasted bee pollen before, and it has a very delicious, unique flavour! I would love to try the organic creamed honey.